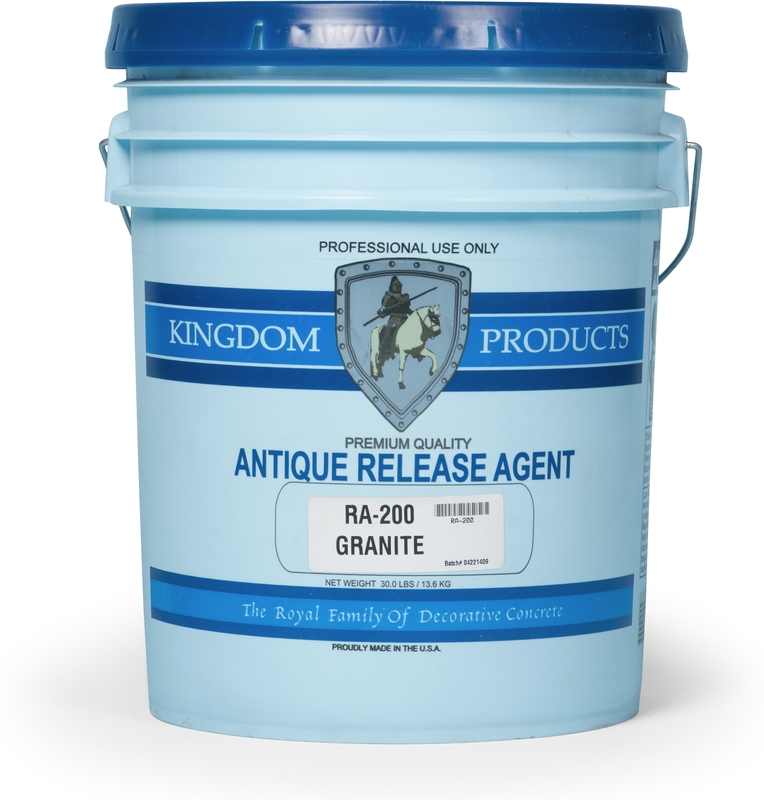 Kingdom Concrete Acid Stains may be diluted up to 1:1 with water. ** Color Chart is only a representation of the colors. 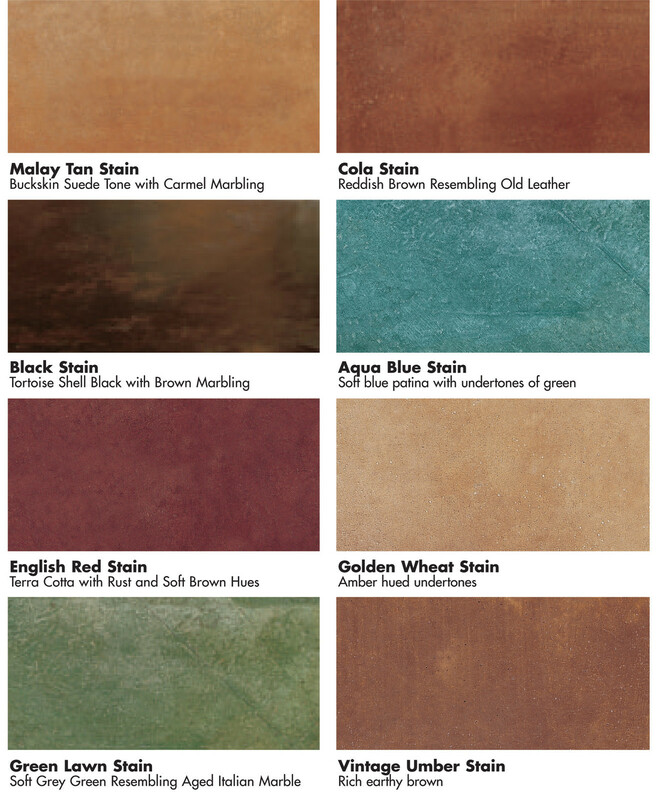 It is always recommended to do a sample area with the color of interest. Please call us for information on sample kits. 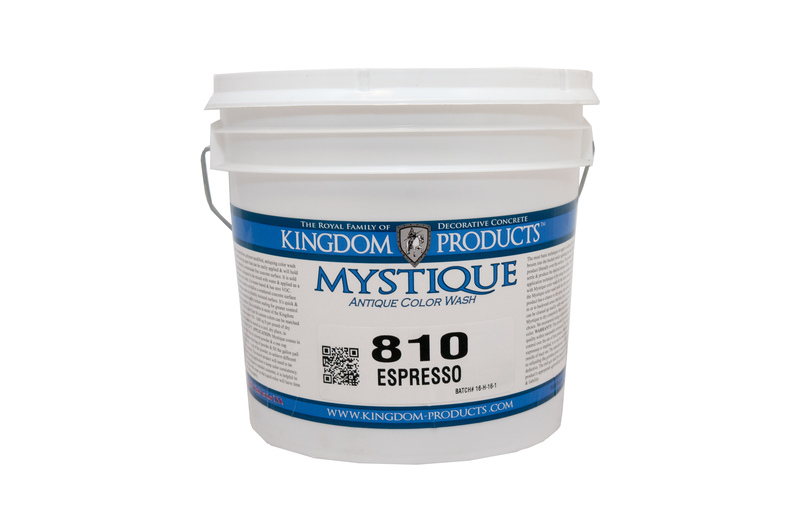 Kingdom Concrete Acid Stains are a group of organic colored acid concrete stains. The final brilliant results are unmatched by any other process and leave an antique patina type finish. They react chemically with the mineral content and excess lime of the concrete surface for a deep penetrating permanent stain. All of these stains are UV stable when sealed. Use interior or exterior (Please refer to precautions and limitations on the back of this technical data sheet) Kingdom Concrete Acid Stains may be diluted up to 1:1 with water. 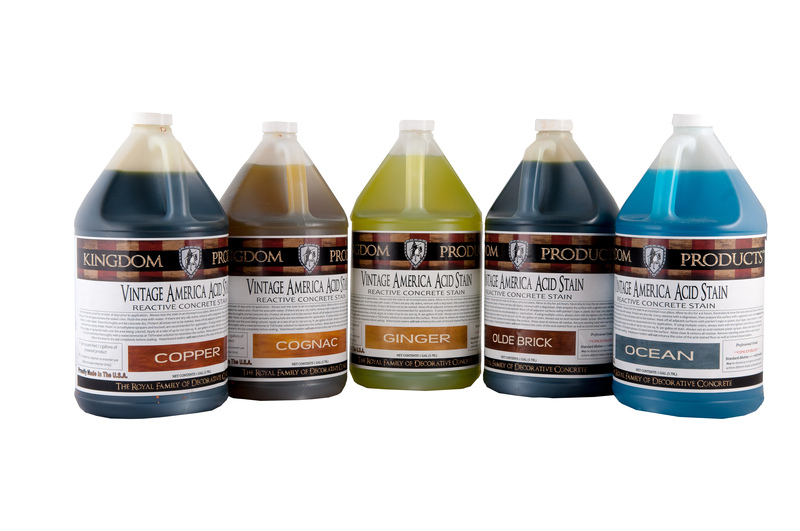 Acid stained floors are a low maintenance alternative to many poplular flooring systems. Provides unmatched custom marble-like beauty.